After you’ve built personas, how do you put them to work to help you design better experiences? This workshop starts where others end, and explores how you can use personas (and their stories) throughout a UX process. We’ll work through a project from user research to evaluation, exploring different ways to use personas to stay grounded in the research… and to brainstorm new ideas. You’ll leave with a collection of techniques you can put to use to create and share snapshots of users that cut across the complexity of context, attitudes, and behavior, and how to use them with your team to design with a better view of users in mind. Collecting stories for personas that make a compelling case for user needs. First person stories and third person stories and how to choose the right one. Team role playing to explore your product through your personas. Sketching with stories. Using words and images to explore ideas. Using stories to explore ways to transform pain into pleasure (and success). Using story structures for impact. Using personas in reviews, walk-throughs, and usability testing. 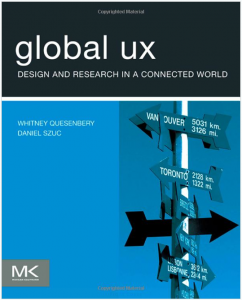 This workshop is for experienced UX practitioners, including researchers and designers. It will also be helpful for anyone with experience leading product design teams who wants to integrate user perspectives into their work more effectively. Whitney is currently working on a new book to add to the three she has already co-authored or contributed to (see sidebar). 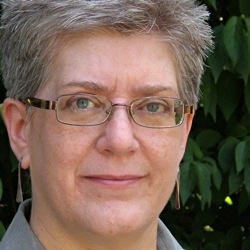 Universal Design for Web Accessibility with co-author Sarah Horton is due for publication this year.